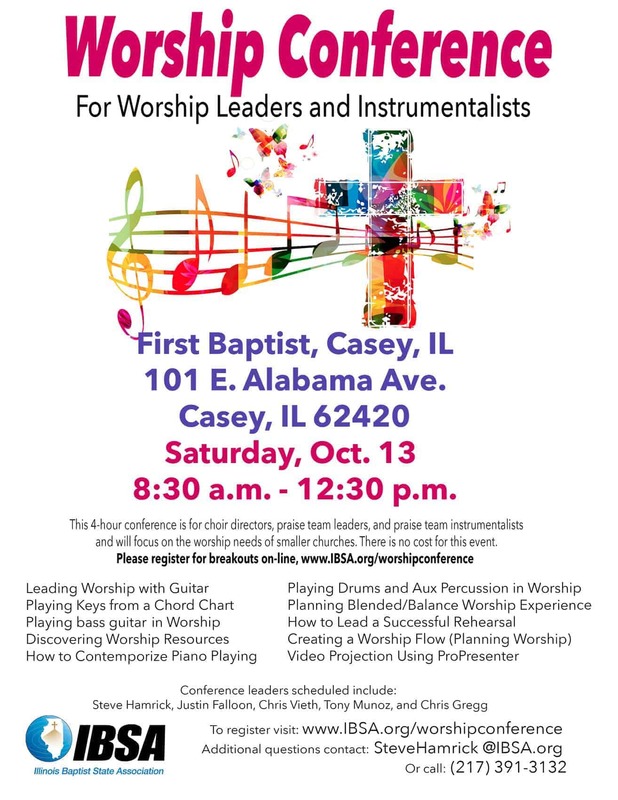 This 4-hour conference is for choir directors, praise team leaders, praise team players, and praise team instrumentalists and will focus on the worship needs of smaller churches. It is a free event. You may register for breakouts at the registration link above, with Debbie Muller, or at the door.